MONTHLY MEETING: Our meetings are held on the first Thursday of each month, September through May. Our next meeting will be at 7:00-9:00 PM on Thursday, May 2, 2019. Allen Hurlbert from UNC Chapel Hill will give a talk about “Caterpillars Count! Measuring the seasonality of bird food for foliage gleaning migrant birds.” More details. SPRING PLANTING SEASON IS HERE! See our lists of recommended native plants for a bird-friendly garden and our list of recommended sources for native plants (NEW!). Click here for lists. 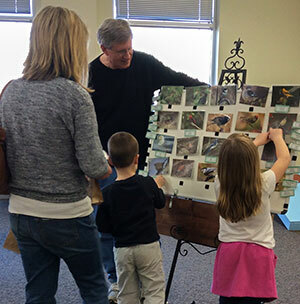 SPRING BIRD COUNTS: NHAS sponsors the Jordan Lake Spring Bird Count that will take place May 5th this year. For more information, click here. For information on other local area bird counts, click here. And if you are interested in participating in the local Mini Breeding Bird Surveys, click here. PIEDMONT BARN OWL INITIATIVE–UPDATE: New Hope Audubon has handed off our Barn Owl project to the North Carolina Wildlife Resources Commission. 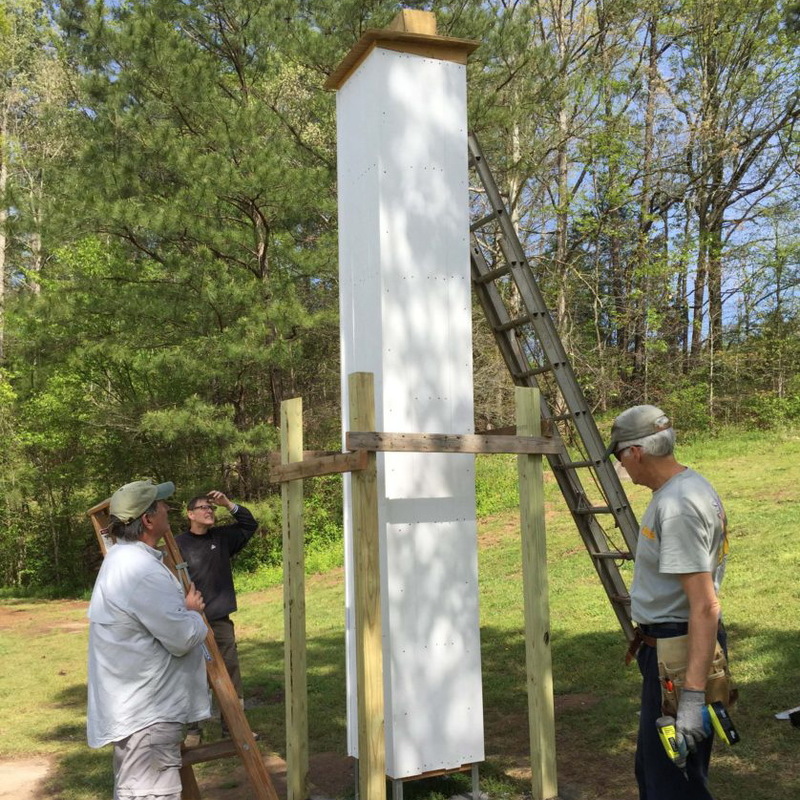 The NCWRC will be installing more nest boxes in other parts of our state beyond our immediate area as well as monitoring the boxes we have already installed. Click here for more information. VISIT OUR “FIELD NOTES” BLOG: Be sure to keep up with the latest posts including: Recovering with Birds, Spring Birding in Coastal Southeast Texas, How Are Wild Animals Injured?, Jordan Lake Gulls Revisited, Leave the Leaves! Go to blog. 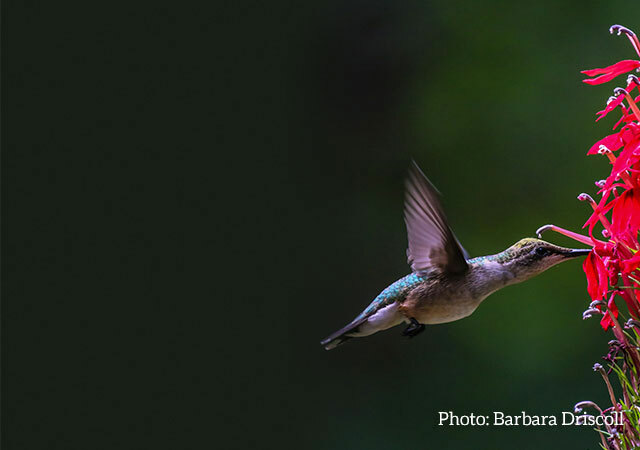 BIRD WALK with NEW HOPE AUDUBON SOCIETY: 7:30 AM on Wednesday, April 24, 2019. Meet at 7:30 am in front of the Wild Bird Center in Eastgate Crossing Shopping Center (1800 E. Franklin Street) in Chapel Hill for a 2-3 hour bird walk at a nearby site. New birders and birders of all skill levels are welcome. 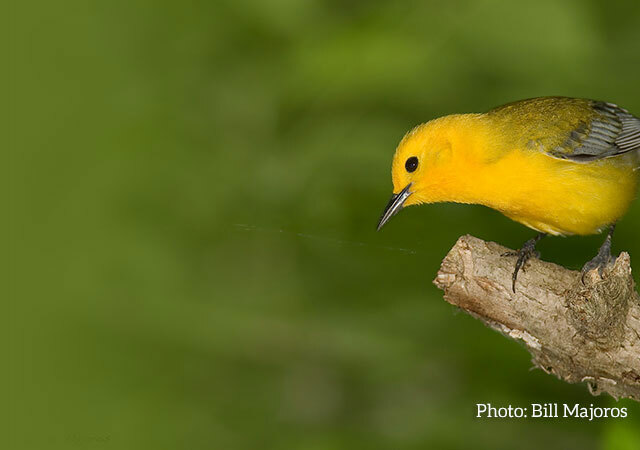 FAMILY BIRD WALK with NEW HOPE AUDUBON SOCIETY: 9:00 AM on Saturday, April 27, 2019. Meet near the old Bynum Bridge in Chatham County, below the church located at 54 Bynum Church Rd, Pittsboro, NC 27312. Coming from Chapel Hill/Durham, that’s a left onto Durham Eubanks Road (off 15-501), then a right onto Bynum Road. Families and people of all ages are welcome and encouraged to come out for this fun event. 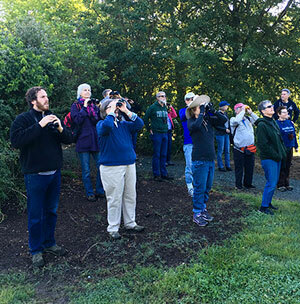 BIRD WALK with NEW HOPE AUDUBON SOCIETY: 7:30 AM on Sunday, April 28, 2019. Meet at 7:30 am in front of the Wild Bird Center in Eastgate Crossing Shopping Center (1800 E. Franklin Street) in Chapel Hill for a 2-3 hour bird walk at a nearby site. New birders and birders of all skill levels are welcome. Discover the birds and wildlife in our area by participating in a bird walk or field trip, led by our expert naturalists. Find out more about our conservation efforts and programs. Discover our local education programs, teaching children and adults about birds and the natural world. 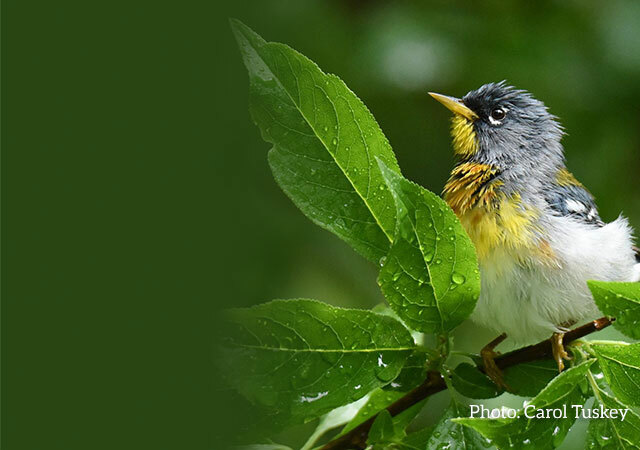 Find out about using native plants for creating or restoring bird friendly habitat. 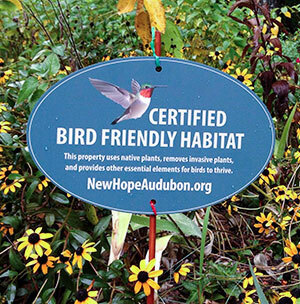 New Hope Audubon Society depends on the community to help fund meetings, educational resources, and conservation efforts. Make a donation* to help protect North Carolina’s wildlife for years to come. Thank you for your support! *Donations are tax-deductible to the full extent provided by law.